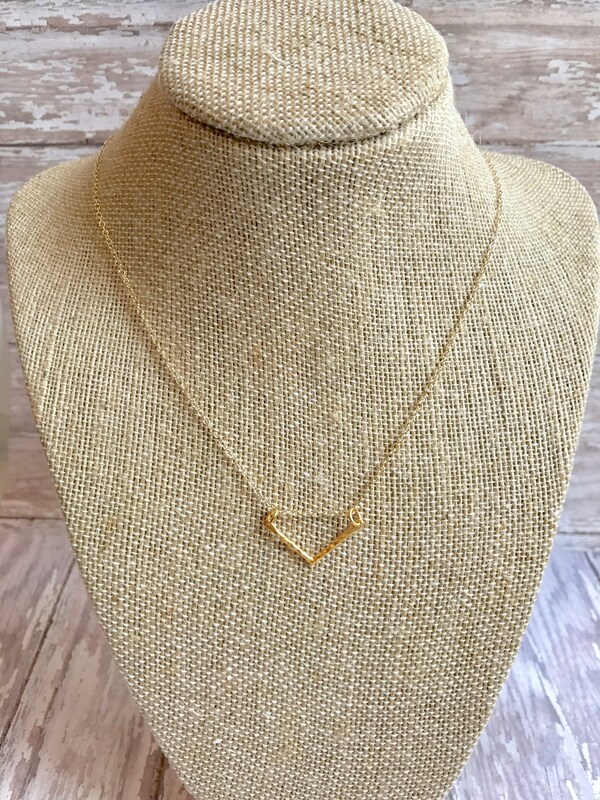 This simple "V" hammered bar necklace will be a staple in your wardrobe this Fall. 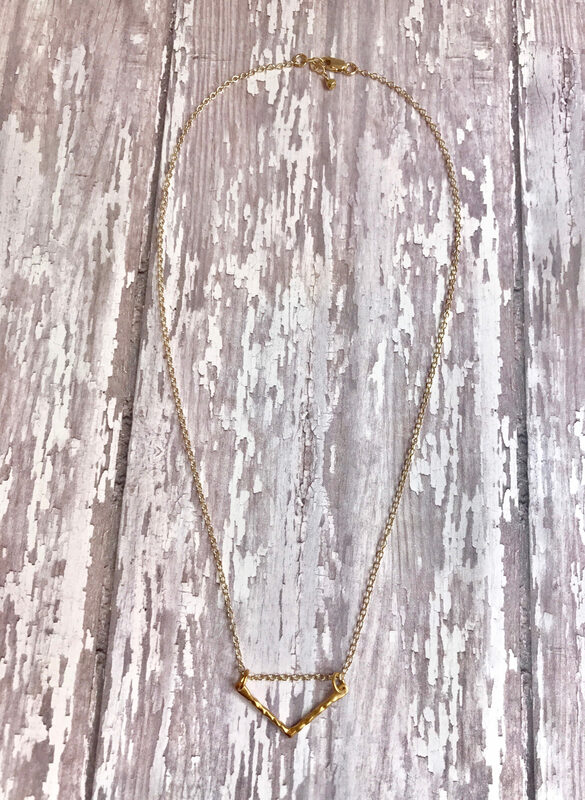 Made of vermeil gold (24 satin gold over sterling silver) and gold fill chain, this lovely necklace is well worth the price. The V measures 1" in length and will gracefully flatter your décolletage. 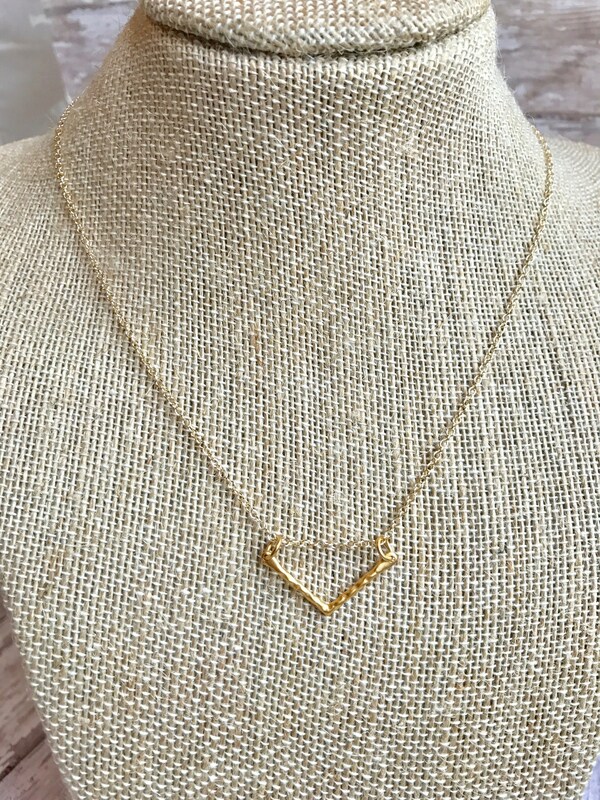 The chain is one continuous length that cleverly slides through the V.